Amy is passionate about working on projects of a broad scope, with awesome people. From scripted performance, arts administration, or serving on a board, Amy is interested in engaging with the arts and her community in a variety of ways. If you have a project you’d like Amy to work on, please get in touch! Created with Paul Blinov. Bittersweet comedy of aches and longings. 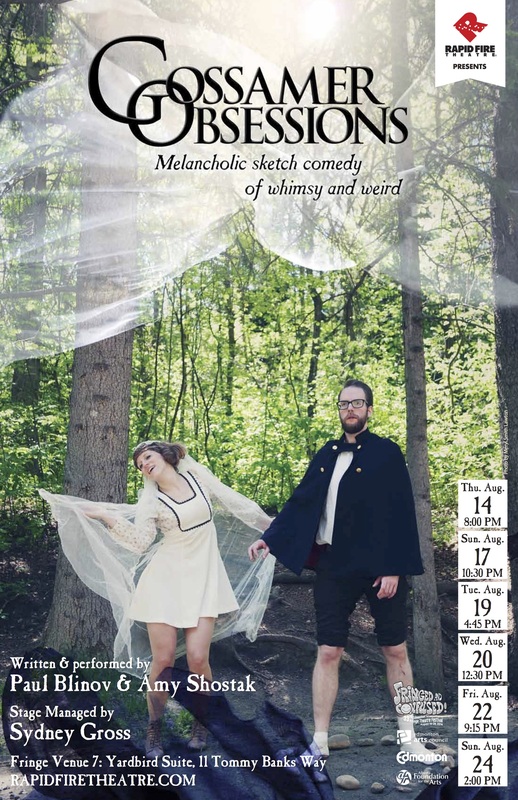 Rapid Fire Theatre’s improvised musical is a hit of the Edmonton Fringe! Created with Arlen Konopaki. The story of Walter & Ester Boyle. “Smartly constructed duo… will split your sides. 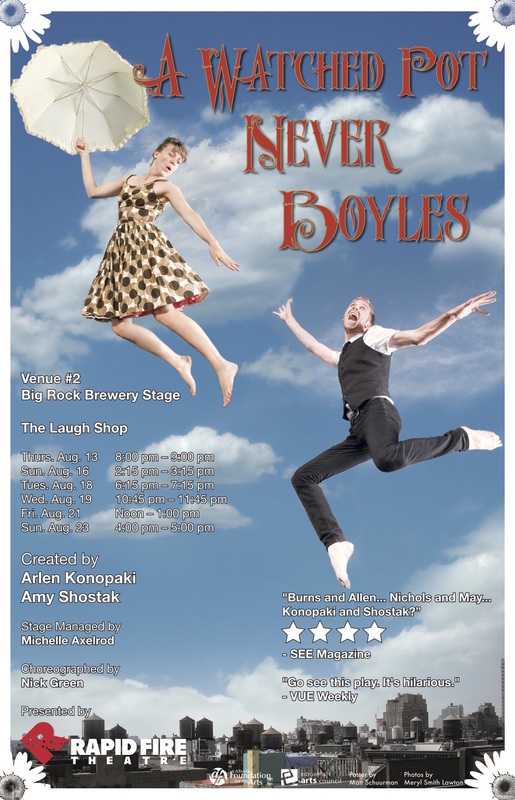 5 stars” – VUE Weekly. 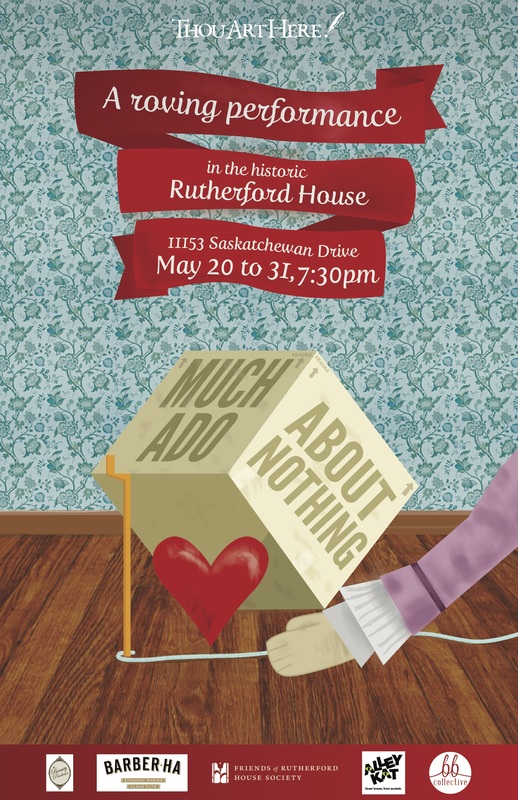 Thou Art Here Theatre’s 2014 & 2015 productions, with Amy Shostak as Dogberry. 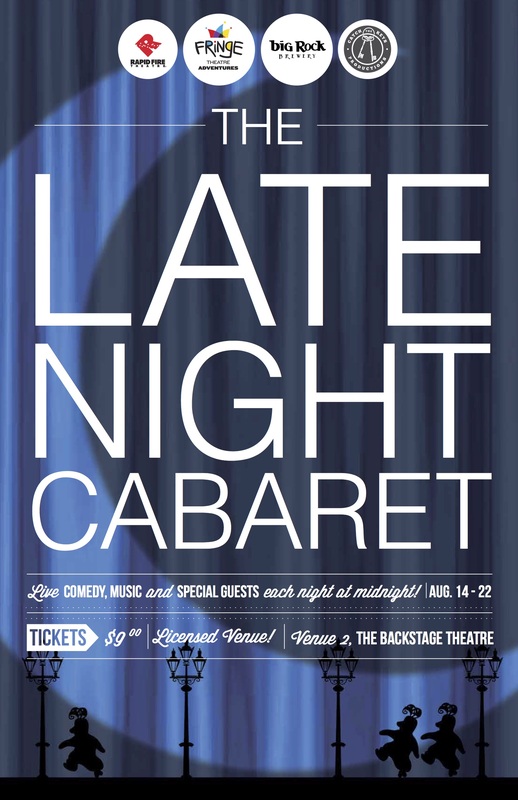 Midnight at The Edmonton Fringe, a talk show hosted by Amy Shostak & Julian Faid.